Tomorrow (Saturday, June 13) you can find me at Chapters Strathcona from noon to 5:00 pm. 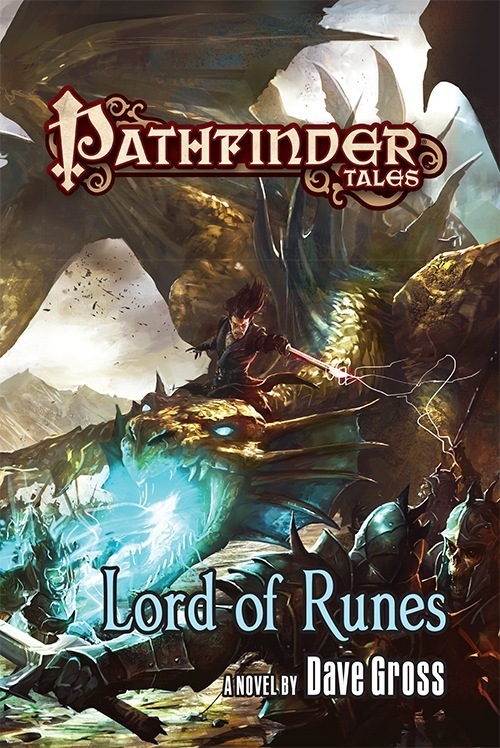 I’ll hang out to chat and sign copies of Lord of Runes and—judging from how well they stocked my back list last time—pretty much any of my Pathfinder Tales novels or recent anthologies. There may even be a few golden oldies from the Forgotten Realms. They sold out of a few titles when we did this last fall, so if there’s something you’re keen to pick up, maybe visit earlier in the afternoon. Here’s the Facebook event. And the day after (Sunday, June 14) I’ll be at Audrey’s Books at 2:00 pm to read a bit from Lord of Runes. Naturally I’ll stick around to chat and sign books. Here’s Facebook again. Please join us for one or both events—and, better still, bring a few friends who enjoy tales of high fantasy, eerie horror, wry quips, and one very good dog. In both cases, the usual suspects and I will retire after the event to a local public house for pints and gabbery. Feel free to join us. We’ll probably push off right at 5:00 on Saturday and around 3:00 on Sunday. Just where we end up depends a lot on how many folks linger, so we’ll work out deets closer to launch time. As you might have noticed, a few features and all the fiction pages on this site are currently down. Sometime in May I’ll replace this with simpler, more easily managed alternatives. I might add a couple of pages, and I’m definitely removing a few. I’ve also begun simplifying tags and will strive to keep the whole site easier to use. In the meantime, if there’s anything you’d like to see on this site, please comment here. I’m very likely to take your advice. For the past few years, I’ve joined forces with a rotating group of authors, editors, and publishers to present writing panels at Alberta conventions. Next weekend we converge on the colossal Calgary Comics and Entertainment Expo, where we enjoyed surprisingly large audiences a couple of years back. The lesson we took from that occasion was that people want a diversity of panelist background but also fairly broad entry-level topics. Thus, we’re reviving the “Writing 101” moniker and bringing writers, editors, and publishers from comics, novels, short fiction, video games, and films together to offer some basic tips. We’re glad to offer more specific advice in the Q&A. For more on my co-panelists, check out the recent and upcoming Creative Colleagues posts. Designing a good mystery is like writing a story backwards, and only the author knows the true story before the big reveal. Our panelists share tips on constructing a “fair” mystery that keeps your readers guessing without making them feel stupid or deceived. Panelists: Margaret Curelas, Dave Gross (M), Axel Howerton, SG Wong. Whether your story includes wizards, ghosts, vampires, or other supernatural elements, you want to make them believable even as you create a sense of wonder. Our panel of authors and editors offer tips and anecdotes to help you blend the magical and the mundane. Panelists: Margaret Curelas, Andrew Foley, Dave Gross (M), SG Wong. Without actors to provide your characters with an audible voice, you need to use the tools of printed language to bring their dialogue to life. Our panelists share their secrets and offer examples from their favorite writers on how to create written dialogue that expresses character without the benefit of an actor. Panelists: Andrew Foley, Dave Gross (M), Axel Howerton, SG Wong. From both sides of the author-editor relationship, our panelists offer tips on how to remain open to change while preserving your vision. Panelists: Margaret Curelas, Andrew Foley, Dave Gross (M), Axel Howerton. Join us at the Fantasy subreddit for a chat with well over a dozen authors who’ve joined forces to give away a bunch of books. Then enter all the contests to win a book or a pile of books. Next week, on March 4 around midday, many of the authors participating in the Crossing the Streams contest will field questions at the Fantasy Subreddit. Ask us anything, but, you know, preferably more questions about our work and fewer about our favorite pizza toppings. I will answer non-spoiler questions about Lord of Runes, next year’s Radovan & the count novel. The way these things work, it doesn’t matter so much when you can stop by. We’ll scan the forums throughout the day and maybe even for a day or two after, so you’ll have a wide window. I hope to see many of you there.